On that sleeve for his 1985 recording of the Goldberg Variations, Scott Ross is seen standing in the grounds of Château d'Assas in Languedoc. It was here that many of his great recordings were made. 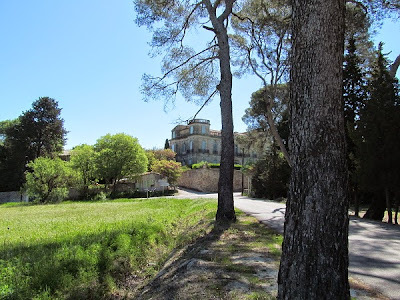 Then, as today, the château dwelt in the twilight zone between grandeur and dereliction, and thirty years ago the recording sessions were regularly interrupted by the sound of rats scurrying across the floor. 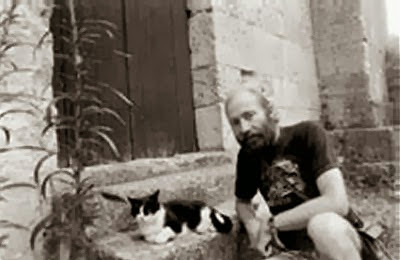 Scott Ross was born in Pittsburgh in 1951, and moved to France with his mother following the death of his father in 1964. He studied at the conservatoires in Nice and Paris, and first came to Château d'Assas in 1969 to give music lessons to the grandson of its owner Mme. Simone Demangel. 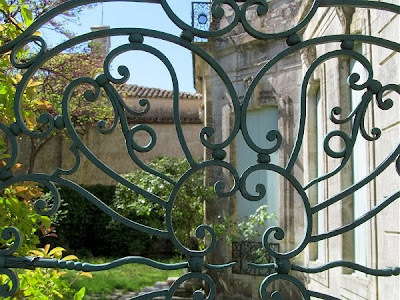 When an early music academy was established at the château, the harpsichordist gave masterclasses and became a frequent visitor. 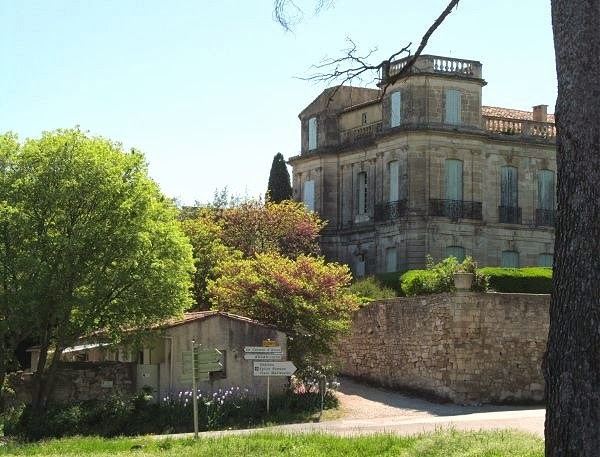 At first he stayed in a room in one of the towers, but from 1983 he rented a small house across the road from the château. 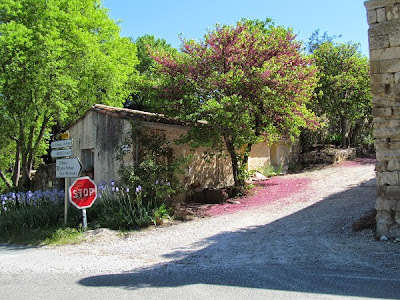 The photos below were taken by me on a recent pilgrimage to Assas. In the first one the château is on the right with Scott Ross' house on the left. The second photo shows his house, while the third looks through the gates to where the Goldbergs cover photo was taken. There are more scenes from Assas at the end of the post. When you write or act, think no more of the audience than if it had never existed. Imagine a huge wall across the front of the stage, separating you from the audience, and behave exactly as if the curtain had never risen. Scott Ross' definitive account of Domenico Scarlatti's 555 keyboard sonatas is one of the great achievements of the gramophone. We can only speculate on how Diderot's paradoxical teachings - tight but loose - influenced the narrow but immensely deep recorded legacy that the harpsichordist left behind when he died at the age of just thirty-eight. 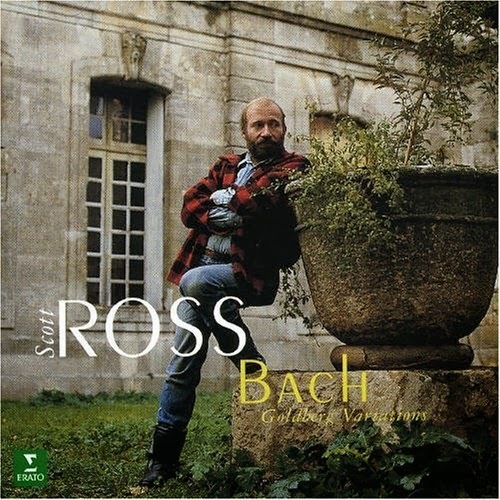 And we can also only speculate as to how those paradoxes - project yourself as if behind an impregnable wall - influenced Ross as a person, and how it contributed to what the French professor of music Henri Prunières describes in a tribute to the harpsichordist as "the terrifying demands of the artist's condition". At which point the question of whether we should concern ourselves with the personal life of a musician must be raised. Personally, I take Pablo Casals' view that: "A musician is also a man, but more important than his music is his attitude to life" as confirmation that exploring the personal life of a musician serves purposes beyond the merely salacious. So, trigger warning, this tribute will now reach beyond Scott Ross' sublime music making. It is not a secret that Scott Ross died of HIV/Aids related complications, but none of the biographies to date state that he was gay. This is almost certainly because much of the biographical material dates from the years immediately following his death in 1989, a time when HIV was misunderstood and misrepresented. However, his sexuality is confirmed in Frédéric Martel's book The Pink and the Black: Homosexuals in France Since 1968. Scott Ross was an early victim of Aids: the virus was first identified in 1981 and he exhibited the first symptoms of the virus - bronchitis which turned into pneumonia - just two years later. The difficulty of the harpsichordist's final years were compounded because he never formalised his French residency and had not made social security payments. Which meant he was not eligible for professionally qualified medical care; so, in his last months he depended on the support of devoted friends, notably the harpsichord maker David Ley and music producer Monique Davos, who cared for him at his home in Assas until his death. This at a time when attitudes towards homosexuality in rural France were still heavily influenced by the dogma of the Catholic Church. 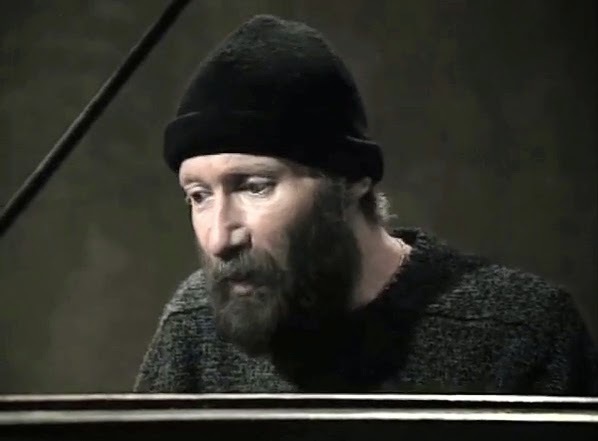 The ravages of HIV can be seen in the still below taken from a very moving video of his final concert, given in Rome just eight weeks before he died. Yet, despite this, those last years produced some of Scott Ross' finest works. His monumental overview of Scarlatti's keyboard sonatas was recorded between June 1984 and September 1985 in Paris, Avignon and Château d'Assas across ninety-eight sessions and 8000 takes, and remains in the catalogue today**. Ross' reputation is safeguarded by his extraordinary recorded legacy. But he should also be remembered as a musician who crossed musical and cultural boundaries. He was an expert breeder of orchids, and his explanation of this passion is also epitomises his wider outlook: “I’m not after the beautiful varieties that florists like,” he said, “What I’m after is strange ones, because I’m always interested in anything unusual.” Michel Proulx suggests it was this dilletantism - in the original meaning from the Latin dēlectāre 'to delight' - that explained his appeal far beyond traditional early music audiences. Perhaps it was Diderot's injunction to think no more of the audience than if it had never existed, that prompted Ross to demolish sartorial conventions decades before informal concert dress became a buzz phrase. He played the keyboard music of the baroque masters dressed in the biker gear seen on his Soler recording above, in the lumberjack outfit seen on the Goldbergs cover, or, even, wearing the ultimate in convention busting attire seen on the Rameau sleeve below. That paradoxical delight in the unusual found expression in Scott Ross' passion for the music of Brian Eno and the then relatively unknown Philip Glass, and in his enthusiasm for the German punk legend Nina Hagen. He loathed Glenn Gould's playing, but expressed unreserved admiration for harpsichordist Don Angle, who was noted for his pop arrangements. Scott Ross' non-musical interests including weaving; he restored and used an old loom from Château d'Assas and went to become an expert knitter and tailor. His mathematical aptitude made him an early adopter of home computers, which he used to create a database of his complex orchid cross-breeds. Volcanoes and minerals were among his other passions; he amassed a large collection of crystals and climbed Stromboli to see an active volcano close up. 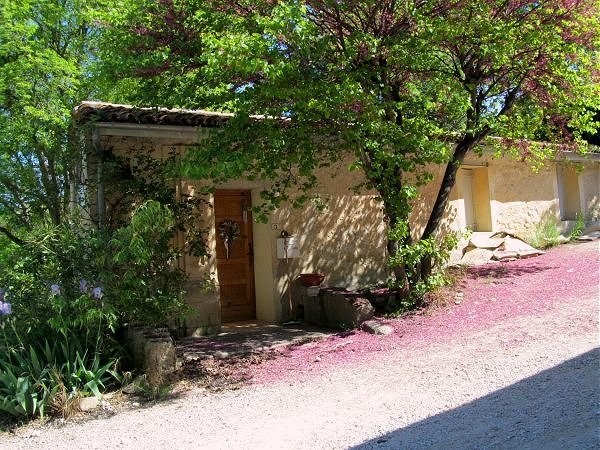 He was a keen photographer with his own darkroom, was skilled at carpentry, and his expert restoration of a house in the remote Lozère region gave added significance to his uncommon middle-name 'Stonebreaker'. An accomplished cook, he had a pasta maker decades before they became a designer kitchen accesory, and, like John Cage, was an authority on edible mushrooms. 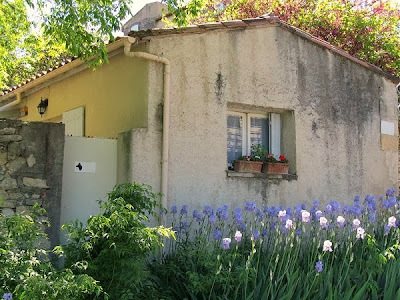 He loved cats, taking his favourites on his commutes across the Atlantic, and it is possible that a great feline musical lineage lives on today in Assas. Scott Ross died on June 13th, 1989 in the little village house seen in my photos; he was 38 years old. In compliance with his last wishes his ashes were scattered from a plane over his beloved Assas. * Michel Proulx's Scott Ross: An Unfinished Destiny (published in 2001) was a primary source for this post. 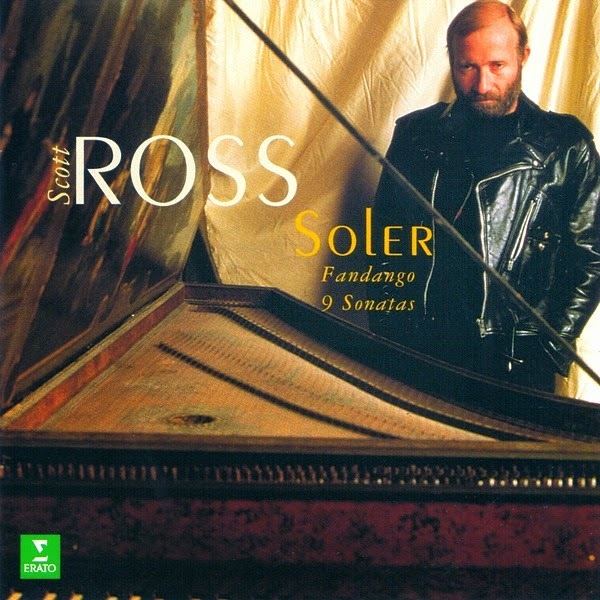 ** Scott Ross' survey of the complete Scarlatti keyboard sonatas has been reissued by Warner Music. 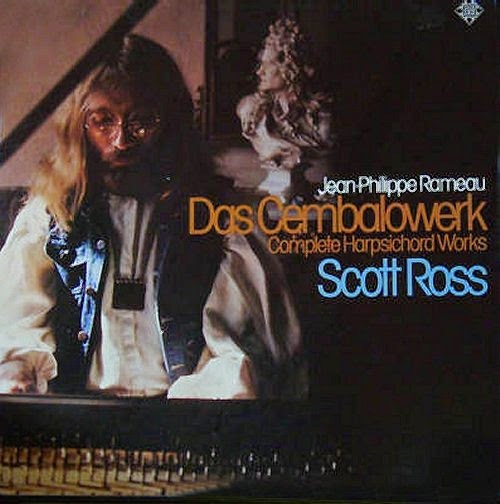 His recording of the complete Rameau harpsichord music will be reissued by Warner in September; but, alas, without the original cover image. No review samples were used, and my visit to Assas was self-financed. 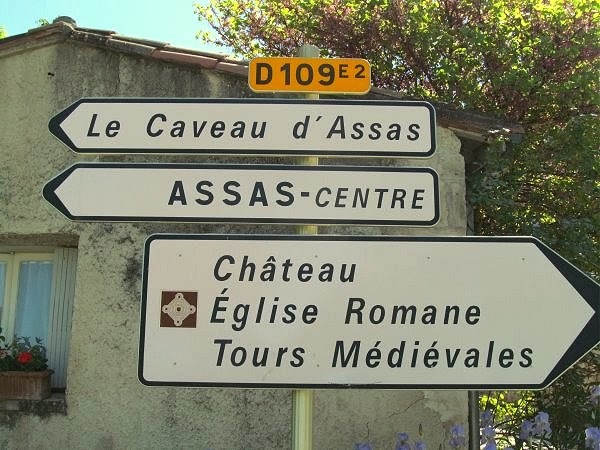 And, believe me, you have to be a serious Scott Ross fan to drive 1000 miles and do battle on the Montpelier ring road in order to visit Assas. *** Edward Elgar's house can be visited here, and Jacques Lousier's here. Also on Facebook and Twitter. Photos of Assas are (c) On An Overgrown Path 2014. Any other copyrighted material on these pages is included as "fair use", for the purpose of study, review or critical analysis only, and will be removed at the request of copyright owner(s). A wonderful text about a wonderful musician. By the way: I don't know if Ross was part of -or hhad any interest in- the so called gay leather community, but "the biker gear" of the Soler recording seems to emulate this kind of look -the one of a Mapplethorpe or a Foucault. Anyway, it's no more provocative than, say, the "hippy look" of the Rameau disc. And it lacks any importance when considering the stature of such a musician -and such an interesting person. Thank you very much for your text. Great post. I'm going to order the Ross Goldbergs, and maybe listening will answer my question - do you know exactly why "he loathed Glenn Gould's playing?" Lyle - "When I hear Glenn Gould, I say, he understood nothing about Bach. An artist who doesn't show himself in public has a problem. He's so much off-target that you'd need a 747 to take him back". "I always found his Bach to be scandalously empty of whatever musicality, crammed with fantastic and meaningless inventions. And I'm not mentioning the articulation nor the phrasing"
Thanks. Should have thought to check previous posts. Looking forward to listening to the Ross Goldbergs. Since they were supposedly written to entertain an insomniac, it's always seemed to me they could be taken more slowly overall than what the all the pros seem to do (to get them all on one CD?). Were I having a sleepless night, I'd rather them more over in the calm and peaceful range than the quicker ones being played as fast as possible to show off technique, sort of a gymnastic exercise. For me, there's also the issue of not really taking on board what the music's doing when it's so fast - sort of a brain processing issue - particularly with Bach's complexity. Wow amazing post, since I was a child I love how Scott Ross interpreted Scarlatti works for harpsichord. Thank you for the pics and the history. How might I find the Scott Ross Biography, Unfinished Destiny, that you mentioned? I looked at an older post of yours, but the author's page seems to be out of existence currently. Jordan, add your email as a comment using the words at & dot for security. I will forward your email address to Michel Proulx and hopefully he will contact you with availability. As soon as I have done that I will delete the comment. I hope that this rather torturous route will find you a copy of the Scott Ross bio. Jordan, I have queried your email address and query to Michel Proulx. Very excited by that news! Thank you for posting!